OK, here I'm about to present a speculative scenario. Now, we all know that speculative scenarios in prophecy usually don't turn out as expected. But bear with me on this one. Even though it might not go down exactly like this, I think this scenario is quite possible, and may show how close we are, since the scenario is conceivable. This post will make the most sense if you read The Main Story and Theology of End Times Roman Empire pages. The Antichrist is supposed to make a 7 year covenant with Israel and "many." Furthermore, he is supposed to come from an empire that has ten kings. As we know, the EU is launching its second 7- year treaty with Israel and many nations for 2014-2020. This follows their first one, which was in 2007-2013. Furthermore, the ten nation alliance, the Western European Union, basically consolidated their authority into the greater European Union. Furthermore, we know the Antichrist starts small and insignificant, but grows to be much more powerful than all those 10 kings. Furthermore, Egypt + Syria and/or Russia will launch an end times attack on the Antichrist before the end. This results in a counter-attack where the Antichrist invades several nations. Again, for more info/backup for this, go to the The Main Story page. 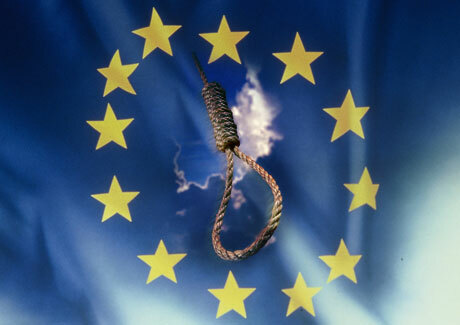 Many of us were interested in the European Union High Representative position for the office of the Antichrist. However, Catherine Ashton (EU High rep), Herman Van Rompuy (Council President) and Jose' Manuel Barosso (Commission President) are all set to be replaced by the end of 2014. They are already mulling new candidates. Furthermore, back in 2011, the 10 nation WEU mutual defense alliance dissolved itself in favor of the larger EU. This is because the EU has structures for mutual defense already. Furthermore, late 2014 is also about 2 years prior to the midpoint of the 2014-2020 seven year agreement. But who cares about all this boring politics stuff??? How does this even matter? Here's where my scenario comes in. I will describe it in narrative format, so that it flows better. Realize this is all speculation. The Bible says that the Antichrist makes a 7-year deal with Israel and many other nations. If 2014-2020 is the 7-year deal, then he is currently in EU politics, but still a very "little horn." He would have to be behind the 2014-2020 ENP though. However, even though he starts off smaller than everyone else, he grows to become bigger than his associates. As we have seen above, they have to choose all new positions by late 2014. This is the perfect opportunity for him to ascend to power, and become even more "bigger" of a horn. All of this is before the supposed summer 2017 midpoint. The Bible says that during his rise to power, he subdues 3 other kings. Daniel 7 talks about 3 horns being uprooted. It is interesting that the time of this power vacuum is close to the time when Britain wants to have their exit vote. If someone does ascend to power, and is as blasphemous and authoritarian as Daniel says he is, it is likely that others will try to exit as well. Many parties within the EU have already considered EU exit, so a fiercely authoritarian leader could put them over the edge. 3 WEU nations could attempt to leave, and the new High Rep/Antichrist figure could try to keep them in. (Pastor Brian Roberts suggested this one). Or he could let them go, but somehow maintain control of them. We know that the Antichrist is a fierce military warrior. The European Union does not have a fully integrated foreign policy, even though the WEU alliance was dissolved. However, in the event of an attack, this would likely change because of mutual defense obligation. They would need a way to coordinate a counter-attack. Currently, the High Representative oversees the common defense of the European Union. This perfectly fits into the idea that the Antichrist will not attack first, but will initiate a massive counterattack against Egypt and Syria (Daniel 11:40-41). This contributes to him becoming even more powerful than he was before. Perhaps his ruthless and sadistic foreign policy is the reason other EU nations attempt to exit. Foreign policy is the least united aspect of the European Union today. 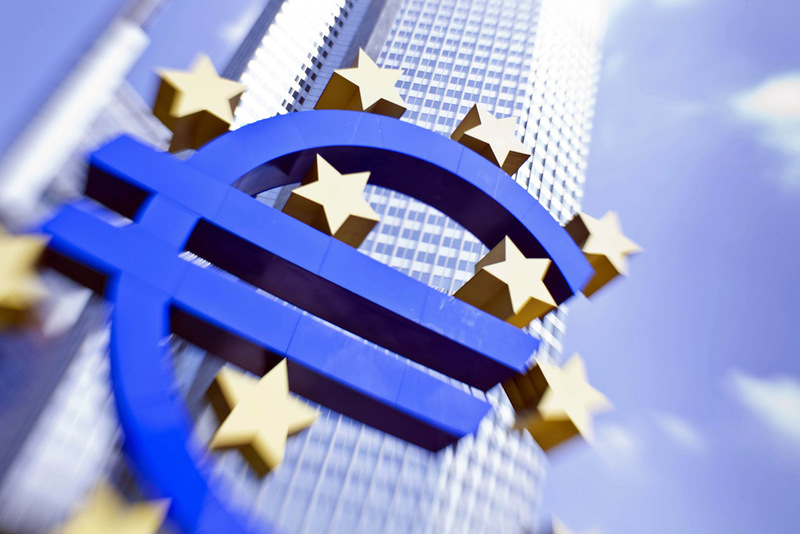 Eurocrats are trying to set up the "banking union" by 2014. This is getting some political recoil from Germany, who would be it's main source of funding. Basically, a banking union centralizes the authority of when to close down/restructure a troubled bank. This is meant to help the Eurozone crisis and prevent financial collapse like happened in the U.S. in 2008-2009. Nobody should underestimate the important transfer of national sovereignty that a genuine banking union represents. Sharon Bowles, chairperson of the European Parliament's influential economic affairs committee, has described it as a "greater pooling of sovereignty than signing up to the euro." Furthermore, during banking union negotiations is when Barosso gave his big speech to form a "federation of nation states." This breaks a long-standing taboo that eurocrats have of not speaking of "integration" in such clear terms. Since he did so, it is clear where he wants the EU to go. The banking union will come around 2014, around the same time the next 7-year agreement starts. Remember that the Bible talks about someone who seems to control the currency and economy in the end times: the false prophet (see Revelation 13). Perhaps all these economic negotiations and centralization of economic power are paving the way for this. I don't know how it will play out exactly. But I hope this provided a plausible scenario to show just how close we might be. Sorry I didn't see this comment until now. You are more than welcome to do that. That is very kind of you to repost! Thank you very much!